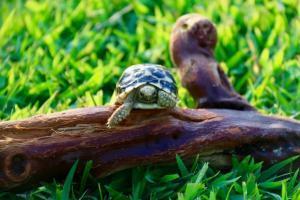 baby burmese star tortoises for sale online. The most beautiful of all start tortoises, the burmese star tortoise is the crown jewel of the stars. 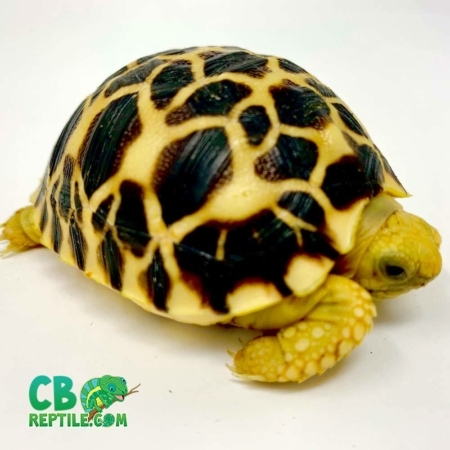 Learn about proper burmese star tortoise care before purchasing your new baby burmese star tortoise for sale. Geochelone platynota (Family Testudinidae) is a medium-sized tortoise (carapace length to ca. 30 cm) endemic to the dry zone of central Myanmar. Little is known concerning the ecology of G. platynota in the wild. 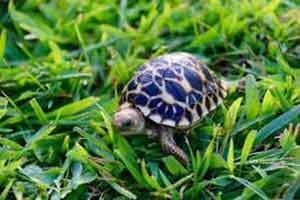 The baby Burmese star tortoise occurs in xerophytic habitats typical of the dry zone, as well as grazed pastures, hedgerows, and agricultural fields. The Burmese star tortoise for sale diet consists largely of grass and other vegetation, but fruit, mushrooms, snails, and insect remains have been recovered in feces. Mating occurs from June to September, followed by egg-laying from October through February. Female Burmese star tortoises for sale have reasonably small clutches when they lay eggs. The mean size of 27 clutches was 4.4 eggs, and a positive relationship was noted between female size and clutch size. Based on a limited sample, the home range of males is somewhat larger than that of females. During cool and dry periods, activity declined and tortoises sheltered in bamboo thickets, undercut banks, and rock crevices. Geochelone platynota occurs both macro- and micro sympatrically with Indotestudo elongata in the dry zone, but the ecological relationship between the two species remains poorly understood. The few available data suggest that G. platynota is ecologically extinct in the wild, as a result of historic long-term subsistence harvesting and more recent over-collecting to supply illegal international food and pet markets. The last known wild populations in Shwe Settaw and Minzontaung Wildlife Sanctuaries, and Myaleik Taung are now apparently reduced to non-viable levels. Future conservation efforts hinge on developing and implementing successful captive breeding and reintroduction programs in Myanmar. Currently, offspring are being produced at several rearing facilities in Myanmar, but persistent rampant poaching precludes the reintroduction of tortoises into protected areas.